Studies show that about 20 percent of the contents of health and beauty products remain in containers when users toss them — usually because they can’t get any more to come out! 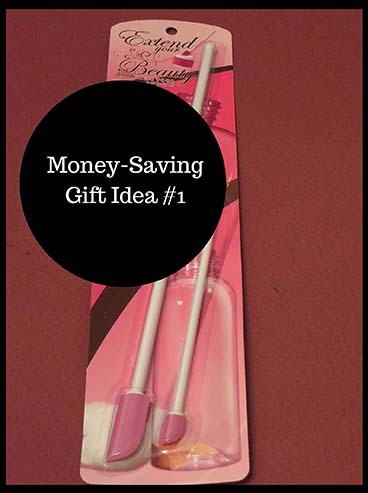 The Extend Your Beauty cosmetic tool is a unique and practical money-saving gift idea for people who like to get their money’s worth. The tiny spatula-like tools let you get every last drop of liquid or cream from containers — great for family members and friends! I bought several tool sets at Tuesday Morning for $4.99 each in late 2014 — but they’re now selling there for only $2.99. The same product is also available online for about $13.99! 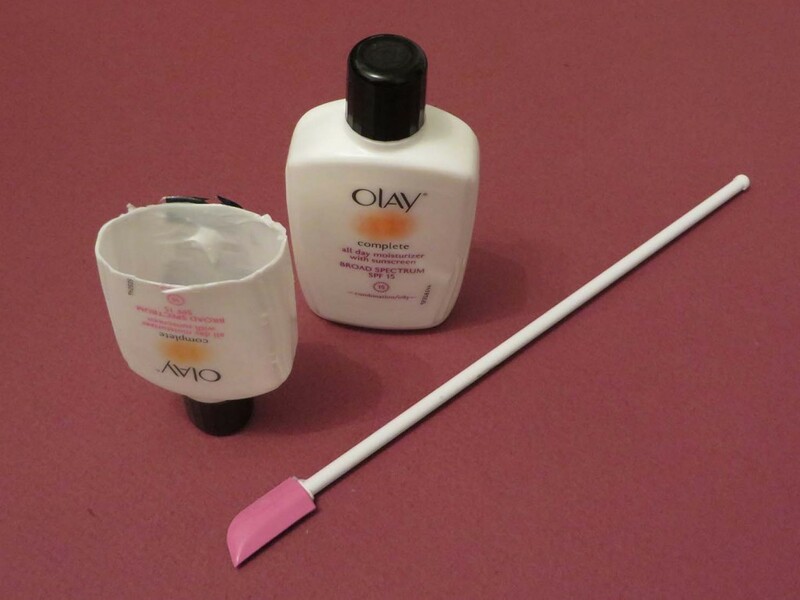 To use the product, when lotions run low, just get some heavy-duty scissors — like kitchen shears — and cut the container in half. Use the scraper, and you’ll easily be able to scrape enough extra product for another week or two of use. Considering the high price of many beauty products, this gift is a real money saver — at a great price. Don’t forget to buy one for yourself, too! This entry was posted in charity event, charity events, Christmas gift, Christmas present, Extend your Beauty cosmetic tool, garage sales, getting your groove back, gift-giving, gifts, swimming lessons, thoughts tips and tales and tagged Christmas gift idea, Christmas present, Extend your Beauty cosmetic tool, gift, money-saving gift idea, present, thoughtstipsandtales. Bookmark the permalink. A long handled spatula! This is a clever idea someone came up with. Exactly! What a great idea — things like this always make me wish I’d invented them! Hi Diane, you have some great blogs. I read them everyday. This product was on Shark Tank last year, the girl got a deal with Lorie Grenier. Miss y’all from book club, say hi to everyone. Hi Denise — thanks — glad you read the blog! Sounds interesting about the product deal. I’ll say hi to everyone from book club — we’re skipping this month’s meeting because I’ll be on vacation that week. Yay! But we’re going out to dinner during December sometime and I’ll tell them you said hi. Hope everything’s going well with you there and you have a happy Thanksgiving!